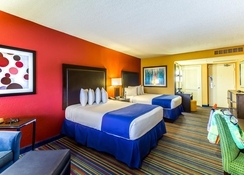 CoCo Key Hotel and Water Resort is a family-friendly hotel located on the famous International Drive, Orlando. If you want adventure holidays, this atmospheric hotel is where to head thanks to its fantastic 54,000-square-feet, canopy-covered waterpark and 6,500-square-feet arcade - ensuring round-the-clock entertainment for the little ones. 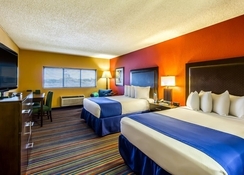 There are 391 colourful guest rooms available, 3 tasty on-site restaurants including TradeWinds breakfast and dinner spot, and a convenience store within the premises. 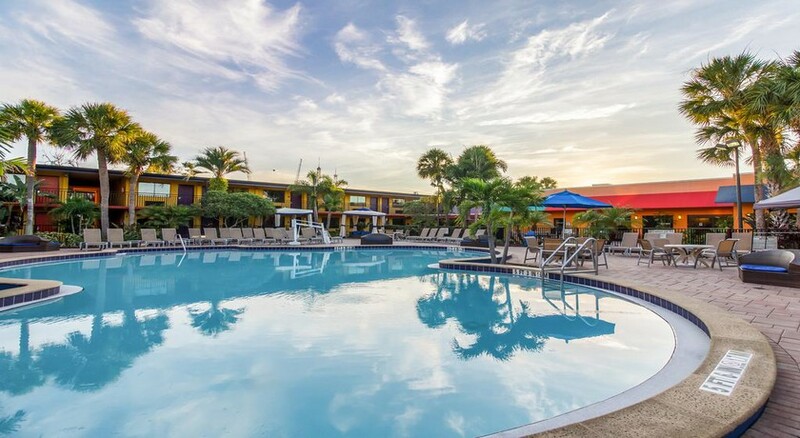 You'll also have access to hotel Wi-Fi, parking facilities, a fitness centre and free shuttle services to all of the major Orlando theme parks, including Universal Studios and Sea World. In short, CoCo Key Hotel and Water Resort is the perfect place to kick off your summer vacation! CoCo Key Hotel and Water Resort couldn’t have been positioned in a better location. It's a major tourist hotspot thanks to its iconic theme parks, shopping malls and vibrant resorts (naturally), which are all located nearby and easy to reach. Harry Potter and the Forbidden Journey theme park is located at a distance of 3.1 miles, while world-famous Universal Studios’ is less than a mile away. Orlando International Airport is 14.5 miles away. The hotel's spacious rooms are divided into Deluxe, Poolside and Accessible options with two bed, king size and family facilities to choose from. 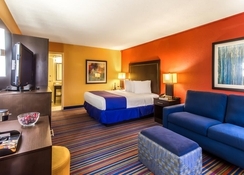 All of the rooms feature 37" flat screen TVs, desks, a digital safe, coffee and tea facilities, complimentary Wi-Fi and more. CoCo Key Hotel and Water Resort has an excellent variety of dining options to satisfy those stomach rumbles after an exciting day spent at the parks. Tradewinds, the hotel’s signature restaurant, is the hot breakfast buffet spot, while Callaloo Grille is great for a mid-day snack serving burgers, salads, warps, chicken fingers and so on. Wet Rooster Tiki Bar is the best place to unwind with a cocktail and nibbles by the pool. Equally, if you prefer to grab-and-go there's Gator's Convenience Store in-resort – plus you can stock up on your souvenirs, too. 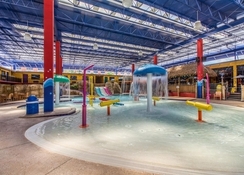 The water park is at the heart of the hotel. 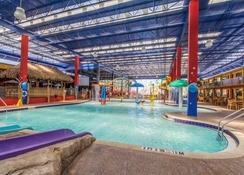 With 14 splash-tastic slides, 3 heated pools and a huge arcade there is plenty of fun-filled activities to go around. 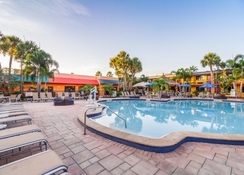 The hotel also organizes tour programmes for small and large families, making it a great base if you want to venture out for the day – Miami here we come! Please Note : The Coco Key Hotel and Water Resort will be enhancing and upgrading Coco's Water Park in the upcoming weeks. To do so, portions of Coco's Water Park will be closed beginning March 18, 2019. With 54,000 sq. ft. of water park space, there will still be plenty of fun to be had as the rest of the park will remain open and available during the renovation.